Last week I recapped my creative year in terms of the writing projects I worked on. But when I wasn't spending my creative time writing, I was recording and producing podcasts. And on the podcasting front, 2015 was a very busy year. The Secret Identity podcast started in March of 2006, and in early December, we published out 700th episode (I wrote a whole post about that, which you can read here). We spent all of one segment reflecting on almost ten years of comic podcasting, and then we got right back to work. Episode #701 of Secret Identity showcased our new theme song, and we've streamlined our format to keep things fresh and fast-paced as we head into our next hundred episodes. 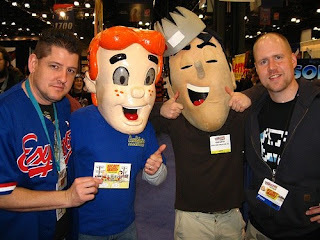 You can join the comic-fueled fun at www.secretidentitypodcast.com. 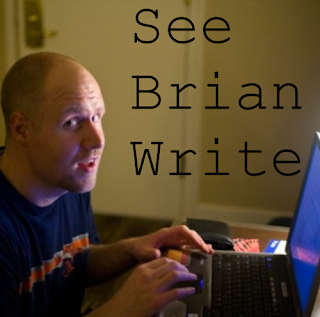 The third season of my writing podcast See Brian Write premiered in January, and it was entirely dedicated to celebrating NaNoWriMo. Guests on the show this season included Roxie Prince, Mary Beth Blevins, Laura Chapman, Enrica Jang, my Secret Identity partner Matt Herring and my writing partner Jolene Haley. The 2016 season of SBW will be focused on horror, and some of my Midnight Society pals will be stopping by to talk about what scares them. 2015 was the year Co-Op Critics evolved. The site I started in March of 2011 as an outlet to write about games is finally becoming what I wanted it to be. My good buddy Nick Merritt came aboard at the end of 2014 and gave our website a much-needed facelift. 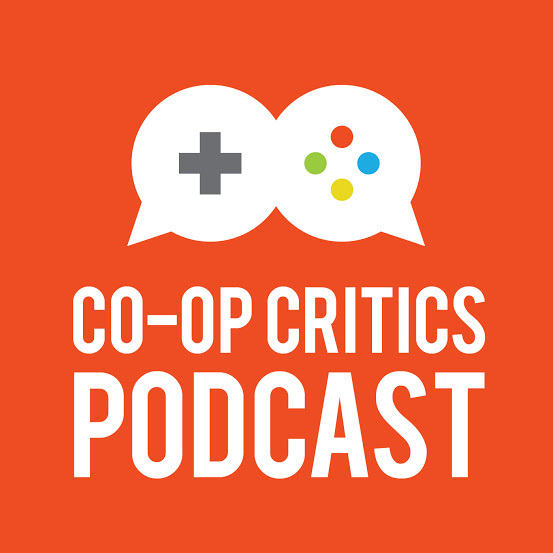 We relaunched the Co-Op Critics podcast in January of 2015 with a renewed focus and a consistent schedule. Over the year we discussed some of the biggest games of the past few years, like Destiny, Dragon Age: Inquisition and Minecraft, while also focusing on some of the games that didn't get as much of the spotlight. Each month on Co-Op Critics we spotlight a game with videos, blog posts and an audio podcast. You can catch up on past episodes and follow what's coming in 2016 at www.co-opcrtics.com. My friend and superstar comic writer Antony Johnston has a fantastic podcast called Unjustly Maligned, where he invited guests to come on and defend something that you love but everyone else hates. I came on his show to defend Megadeth's 1999 album Risk, and people responded very positively to the in-depth music discussion Antony and I had. So, we decided to start our own music podcast. it's called Thrash It Out, and each episode features a deep dive into one rock or metal album. We just wrapped up our first season and are ready to get started on season two in the next couple weeks. You can catch all the episodes at www.thrashitoutpodcast.com, and if you're so inclined, support our Patreon. 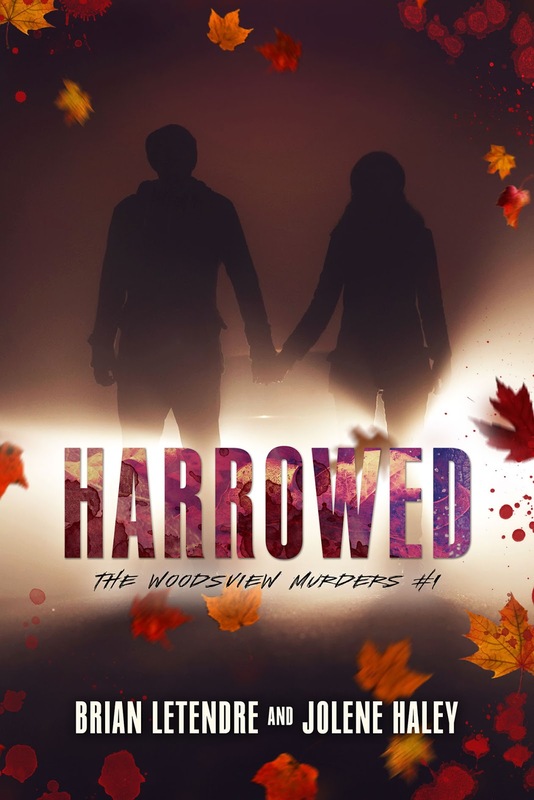 And last but not least, my writing partner Jolene Haley and I had so much fun creating our book Harrowed that we had to podcast about it as well. We're doing a podcast called The Woodsview Case Files, an in-continuity show that actually ties into the Woodsview Murders novels. We were only able to get two episodes out before the end of 2015, but stay tuned, as we have big plans for this show. You can catch up on the first couple episodes at www.woodsviewmurders.com. So like I said, 2015 was a very busy year for me in terms of podcasts. 2016 will be even busier, as I have at least one new podcasting project that will likely debut this upcoming year, and all the shows I mentioned above will be back for another year. So, whether you want to hear about comics, games, music or writing, I've got you covered. It's been a "nose to the grindstone" couple months, but with 2015 winding down, I decided to take a couple posts to reflect on my creative output for the year, both on the book front and the podcast front. 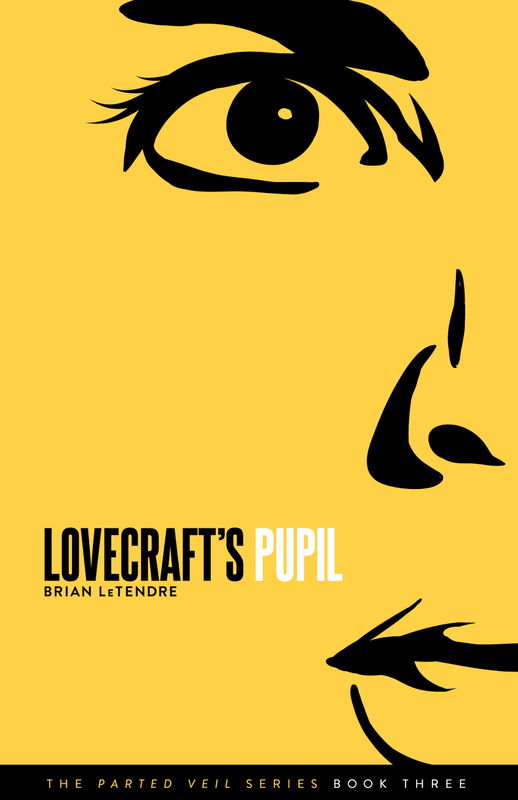 In March of 2015, I released the third book in my Parted Veil horror series, Lovecraft's Pupil. This book is a real turning point for the series, as the story is taking on a some real dark fantasy elements. I already have the first draft of the next installment done, and I drafted a novella in April that ties into the series as well, so there will be plenty more Parted Veil to come in 2016. Right after I finished drafting the aforementioned novella, Jolene Haley and I decided to write a book together. We started working on it in May, and after busting our butts for the next several months, we released Harrowed into the world in September. Our goal was to create a young adult slasher story they captured the feel of some of our favorite horror movies growing up. If the reviews we've gotten so far are any indication, we succeeded. The Woodsview Harvester is a character that everyone who reads the books is talking about, and he's drawn comparisons to some of our favorite slashers from the '80s. Jolene and I could not be more happy with the response to this book, and we're already working on the next installment of the Woodsview Murders series. And speaking of that, we're about 30,000 words into the next Woodsview Murders book. I' not going to give any of the details away, except to say that college will prove to be even more deadly than high school was for our characters. Jolene and I had so much fun with Harrowed that we decided to start another YA horror series. This one's called Orchard Pointe, and we are almost done with the draft of the first book. The tone is a bit different than the Woodsview Murders series, but there's plenty of scares and some characters we hope people will dig as much as they have our Woodsview crew. We will be talking about quite a bit in the New Year, so stay tuned for that. So, two books released, and another three either drafted or in progress. It was a good year for me from a writing standpoint, and 2016 looks to be even better. Later this week I'll be posting about the podcasting projects I was a part of this year. 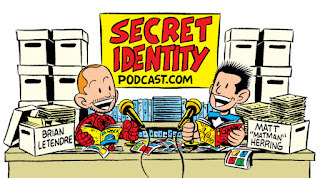 The Secret Identity Podcast Turns 700! 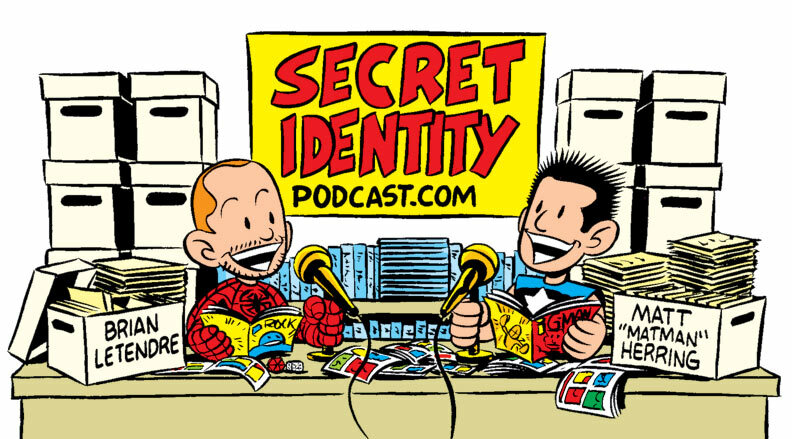 In March of 2006, Matt Herring and I posted the first episode of the Secret Identity podcast, a weekly show in which we discussed comics, movies, TV and other areas of geek culture. Almost ten years and 1500+ hours of programming later, we just posted our 700th officially numbered episode. You can click the link to get it, download it from all the usual spots, or listen to it right now in the player below. All told, we've produced over 900 episodes of Secret Identity in the past nine-plus years, discussing thousands of comics, movies, shows, games and more. We've also featured interviews with almost 450 creators during that time (with dozens more we haven't posted yet). In terms of both numbers and longevity, Secret Identity is in limited company. When we first started our little show, podcasts in general were not huge yet, and there was only a handful of shows focused on comics. And as we approach out ten-year anniversary, there are hundreds of comic book shows across the podcasting landscape, but many of the shows we came up with are no longer with us. I don't stop to look back very often, as I'm busy recording and putting the show out every week. But, with this milestone and our upcoming tenth anniversary, I think some reflection is called for. It's been an amazing experience to produce this show for so long. It's been a staple in my life for almost ten years. When we started this show, my daughter was three--she's in seventh grade now. My son hadn't even been born yet--he's in fourth grade now. I have spent more time with Matt Herring over the last decade than anyone outside of my wife and kids. He has become the brother I never had. In addition to my relationship with Matt, the absolute best part of doing Secret Identity for so long has been watching the amazing community build up around the show. We have made so many friends--both listeners and creators--over the years, that my life is much richer for having done this show. Many of the people that are a regular part of my life today came into it because of Secret Identity. Matt and I are both grateful to and humbled by each and every person who takes time out of their own lives to listen to the show. Next week we'll be kicking off the next chapter of Secret Identity with episode #701. The format will be slightly different than the last couple of years, and is designed to keep the show moving and be consistent episode to episode. It will still feature all the discussion and segments fans have come to expect, in a bit more streamlined fashion. Episode #701 begins with a discussion on the format update, so you'll hear more then. Oh--I also mixed up a new theme song for the show, I love creating themes for the podcasts I produce, and the Secret Identity theme had not been updated since 2011, so we were due. I hope you dig it. One last note--if you're interested in the full history of Secret Identity, including a list of all the creators we've had on the show, you can check out the newly updated "About" page over on the Secret Identity website. We're almost halfway into December, and my post-NaNoWriMo content binging is in full swing. As I wrote about last year, the creative output of NaNoWriMo often leaves me needing to recharge my creative batteries in a big way when it's over. And even though I made sure to read, watch and listen during November, I was still really hungry coming out of NaNo. 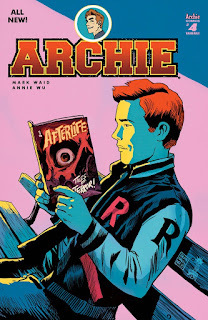 I've been catching up on my comics reading, and I'm loving Starfire, Amazing Spider-Man, Codename Baboushka, Behemoth, Archie, Jughead, Revival, Constantine the Hellblazer and more. I'm also re-reading a lot of my G.I. Joe comics, as I'm considering writing a Kindle Worlds story or two involving some of my favorite Joes. I wrote a X-O Manowar story a couple years ago and it was a blast. On the movies and TV front, I'm almost caught up with Supergirl, The Flash, Arrow, Scream Queens and Jessica Jones now. I've also begun re-watching the Star Wars films with my kids in anticipation of The Force Awakens. For music, I've been going back to some of my favorite releases of the year while I write, including Queensryche's Condition Human, Europe's War of Kings and Armored Saint's Win Hands Down. Finally, I've slowly begun making my way through my book pile of shame with Faith McKay's Lipstick and Zombies, Kristen Strassel's Forever Home and Halloween Night: Trick or Treat, an anthology from a bunch of my Midnight Society mates. So, lots to catch up on, and it couldn't come at a better time. Even though NaNo is over, there's still a ways to go on the first draft of our Orchard Pointe book, and I need the extra inspiration to keep November's momentum going. What are you catching up on now that NaNo is over? 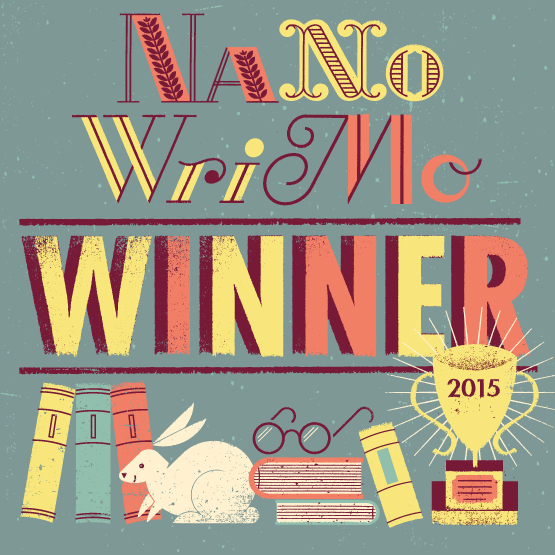 The excitement and sense of community around NaNoWriMo is one of the most effective writing motivators you can get. All those people cheering you on, offering support and writing alongside you helps propel you to massive word counts over the course of thirty days. And then it's over. It's like waking up from a fever dream. But for most of us, our story did not wrap up neatly on the evening of November 30th. We still have work to do. We have to finish the story. And without that cheering section, and looming deadline, that momentum we've built up over the month can start to wane pretty quickly. Remind yourself of the work you've just put in, and don't let it go to waste. That's easier said than done, obviously, but you'll have a greater chance of success if you avoid one of the post-NaNo pitfalls that can really trip you up. 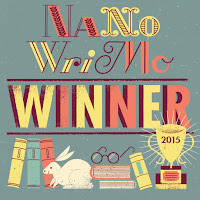 With NaNo, we're used to hitting daily word counts, come hell or high water. For an entire month, we've put a lot of other things in our lives on the back burner, and we spend every free minute trying to get to 50K. That strategy isn't necessarily sustainable through the holidays, and failing to hit self-imposed word counts can kill that all-important momentum we just talked about. So instead of trying to hit a specific number of words every day, commit to spending a certain amount of time every day with your story. It could be 30 minutes, it could be an hour. Whatever you get written during that time is fine, because the important thing is that you're staying connected to the story. You might also want to spend a little time taking stock of where you are in your story, and plotting out the rest of it if you haven't already. I'm not the biggest plotter (I'm more of a sign poster), so this is a challenge for me. But, I find that once I've reached a certain point in my story where the world and characters are built, plotting becomes much easier. So, do a little plotting and spend time with your story each day. That's not as intimidating a goal as 2K a day, right? Sure, you might not write 50,000 words in December (or January). But by staying connected to your story, you'll keep that momentum going until you complete that first draft.